The $38 bln auto giant had another disappointing quarter as U.S. and European sales slid further. Its bottom line was salvaged by growth in China, strength that may not last. Most carmakers fear trade barriers, but Nissan also needs to design cars Americans want to buy. 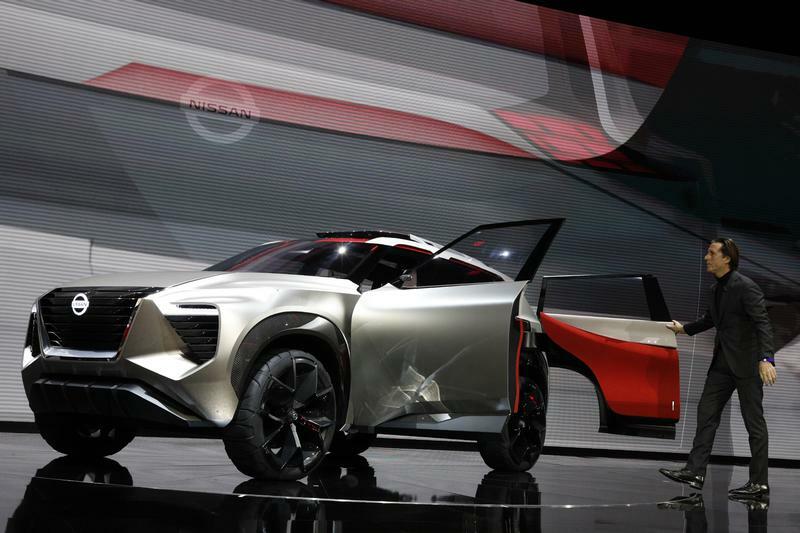 Alfonso Albaisa, Sr. VP for Global Design, Nissan, introduces the Nissan Xmotion concept car at the North American International Auto Show in Detroit, Michigan, U.S., January 15, 2018. Nissan on Nov. 8 reported earnings fell 10.9 percent in the six months ended Sept. 30 from a year earlier to 246 billion yen ($2.2 billion), missing expectations. Global vehicle sales fell nearly 2 percent to 2.7 million units, equal to a global market share of around 5.8 percent. Unit sales in the United States and Europe fell by 9 percent and 12 percent respectively in the period from a year earlier. They gained nearly 11 percent in China in the first six months of the calendar year from the same period in 2017. Operating margin declined to 3.8 percent from 5 percent in the six months ended Sept. 30, 2017.